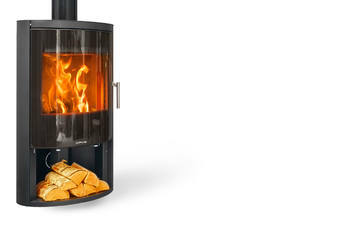 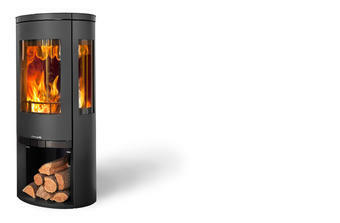 Opus Cylindric are tall rounded woodburning stoves in the Scandinavian tradition. 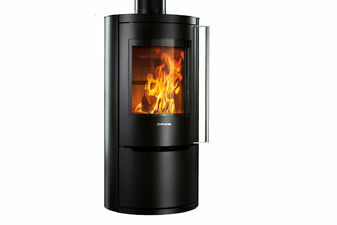 Their large curved glass windows give an impressive view of the flames. 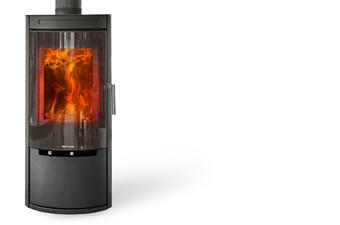 The Melody and Harmony provide the choice of metal or glass doors, with a log store or lower door. 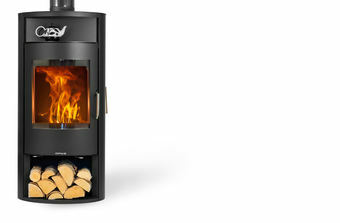 The Trio with its slot windows, and the Calypso boiler stove then complete the range.